Want a more distinctive look than a standard chimney cap? The Proper Topper™ not only protects your chimney, these beautiful cast aluminum chimney toppers add architectural style and curb appeal! 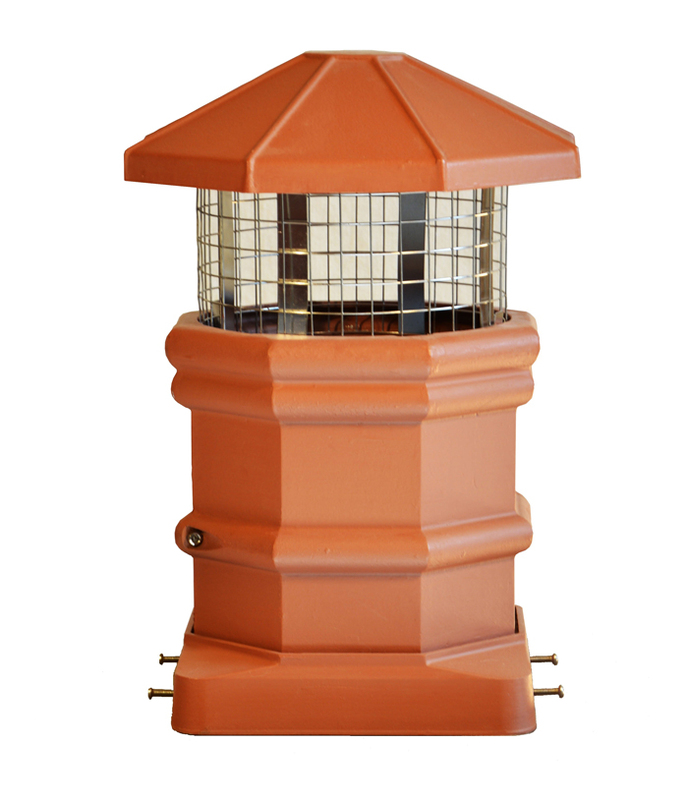 The easy to install mounting base fits over and attaches to standard masonry chimney flues. Can also be used to cover a chimney liner or pipe of to 10 inches in diameter. 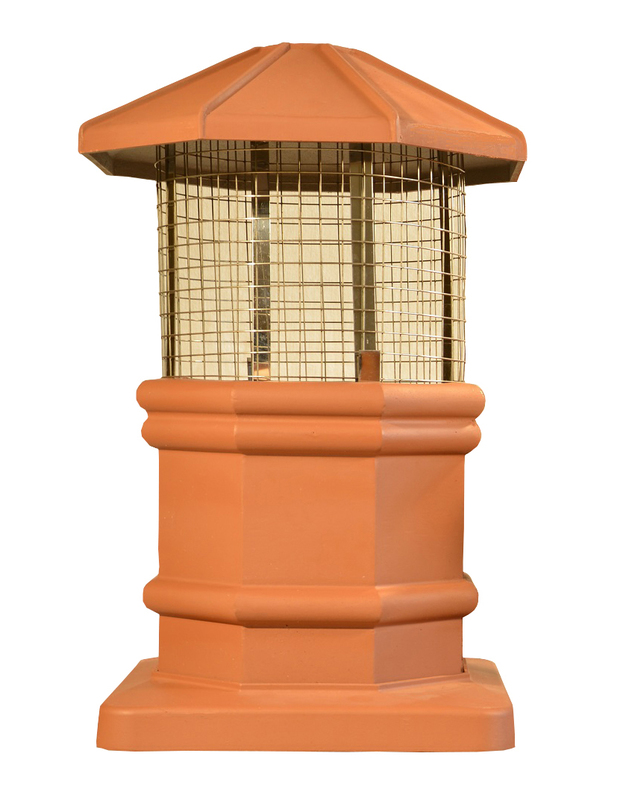 Includes cast aluminum body, base, stainless steel mounting hardware and spark arrestor screen. – Distinctive! Adds architectural style and curb appeal. – Lightweight and durable cast aluminum body, base and top cap. 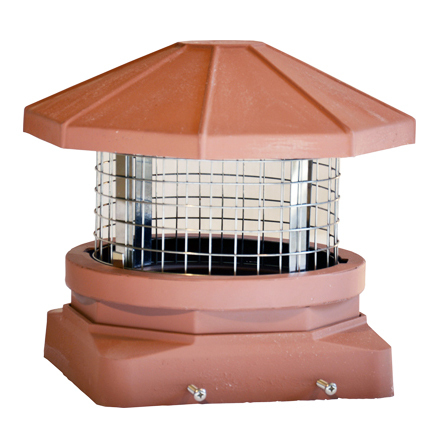 – Top cap designed to prevent wind related downdrafts and keep moisture out of the chimney. – Easy to remove top cap and screen assembly for maintenance. 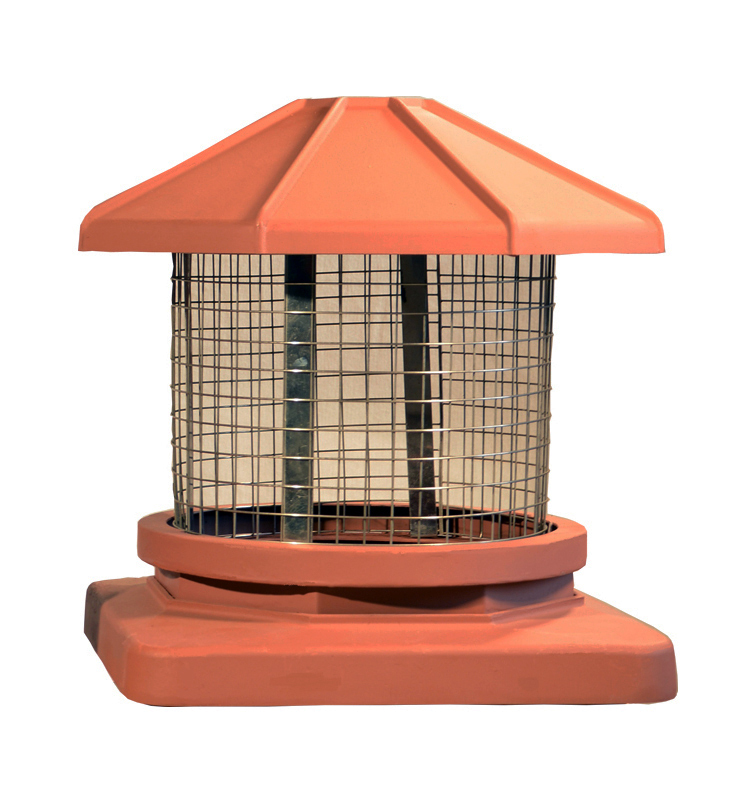 – Stainless spark arrestor screen keeps birds, animals, sticks, leaves and other debris out of the chimney.